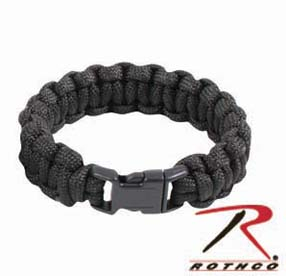 Royal Blue/Black Paracord Bracelet w/ Side Release Buckle | 600827, ROTHCO, Royal Blue/Black Paracord Bracelet w/ Side Release Buckle | McDonald Uniforms, Inc.
7 Strand Polyester Cord. Features a 7/16" Plastic Curved Side Release Buckle. 3/4" Wide. Available in lengths of 7", 8" and 9". If your wrist is 7", it is recommended to get 1" bigger. 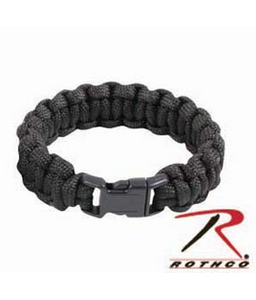 American Made Bracelets also available. Picturenot accurate.